Our clients, a family of four, the owners of a beautiful Victorian villa in the Morningside area of Edinburgh were transforming their kitchen space by adding a stunning, light-filled extension to the rear of the house. 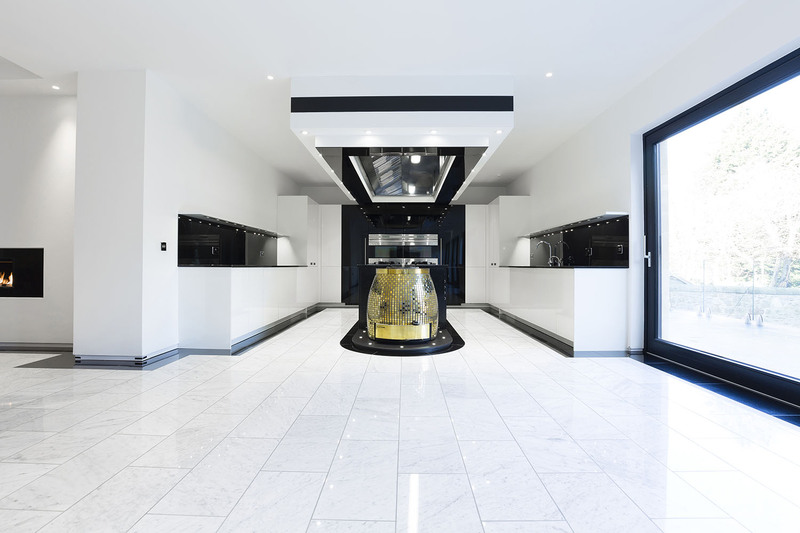 They are keen cooks and wanted to add a modern, spacious kitchen that would meet the demands of a busy family and with a bit of bling as a centre piece. To create a modern yet timeless design, we used handle-less Leicht AMICA frosty white furniture with a laminate gloss finish. 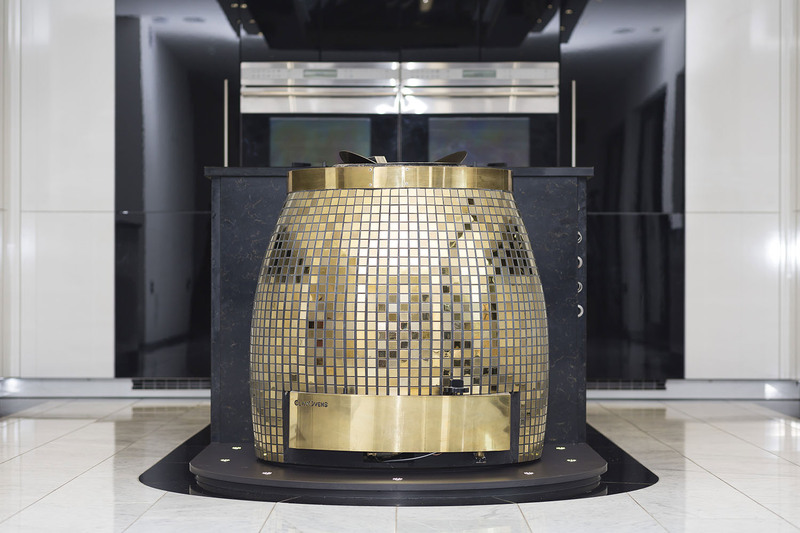 As keen cooks who were looking for premium quality, they required two Wolf ovens, a set-up of six Siemens Domino gas hobs suitable for large pans and woks and a tandoor oven from clay ovens - this stunning oven is located at the front of the island and is the centrepiece of the room. 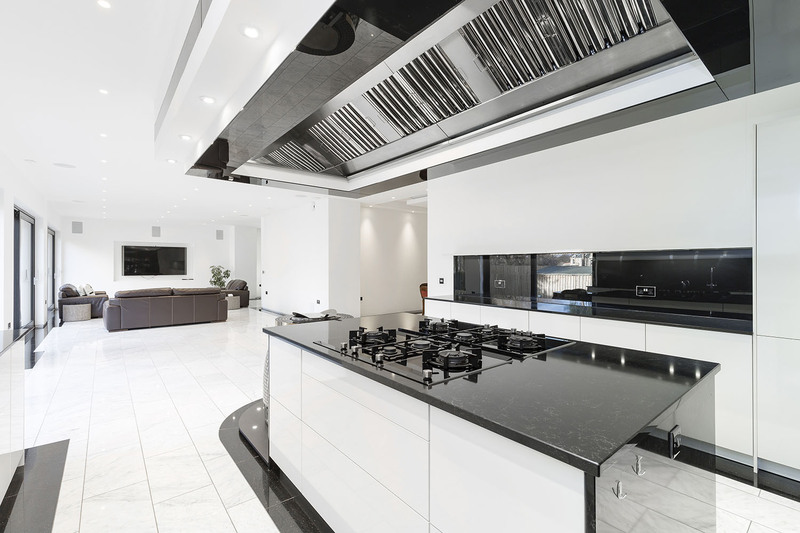 To suit the style of cooking and the number of appliances situated on the island, a custom industrial ventilation system was created within the island bulkhead. 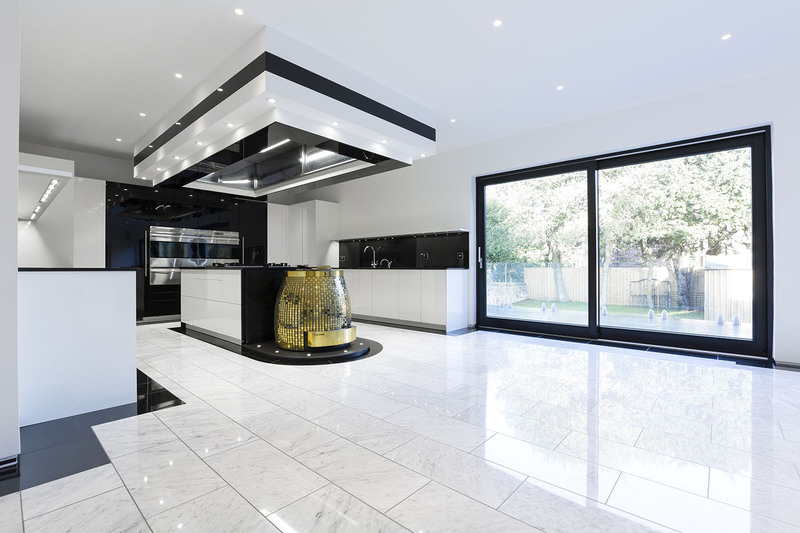 Black tall housings to house the two wolf ovens and refrigeration were incorporated into the design to contrast the white furniture. 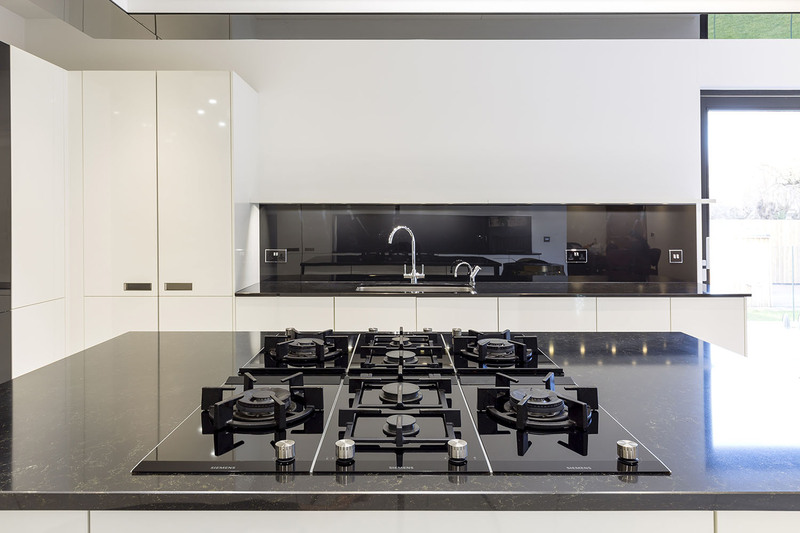 Black glass was also used to define the custom bulkhead and as a splashback to compliment the beautiful Dorados Silestone worktop and again, contrast the white furniture. 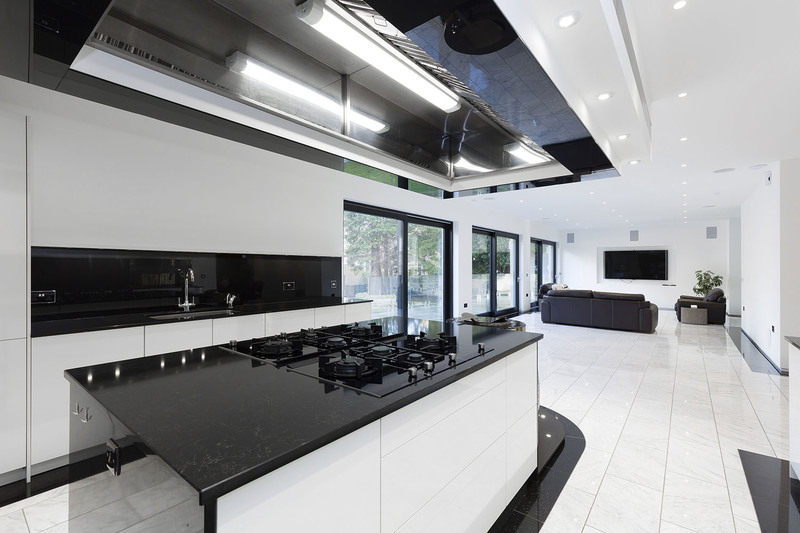 A custom lighting system was designed to accentuate specific aspects of the kitchen. “We are delighted with our new kitchen. Roger at KI has always been amazing. We have worked together on previous projects and has always understood the brief and exceeded our expectations on every occasion”.